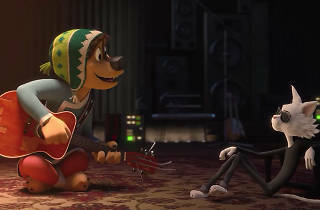 There are a fair few dogs but a complete dearth of rockin’ in this low-rent cartoon about a pooch with a dream. Keen young mastiff Bodi (voiced by Luke Wilson) was born to protect the peaceful sheep of remote Snow Mountain (if place names are a sign of how much effort a screenwriting team has put in, this one’s a doozy). But when a transistor radio drops from the sky blasting out sweet riffs, Bodi heads off to the city to find reclusive guitar legend Angus Scattergood (Eddie Izzard) and learn how to be an axe hero. 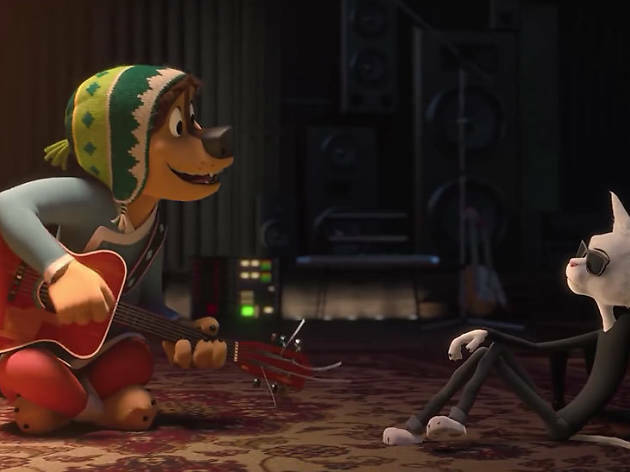 There’s nothing to really hate about ‘Rock Dog’, just a creeping sense that – from the writers to the animators to the voice cast – no one’s really put much effort in. The music is entirely dreary; the definition of ‘rock’ here seems to be winsome be-yourself ballads with a smattering of acoustic guitar. Comparisons to Disney’s ‘Zootopia’ – with which it shares a vision of a city populated by diverse animals – only serve to point up this film’s general lack of ideas, wit and pizzazz. Rock off.